In an era of increasing political divisiveness and calls for political correctness, are students ready to step in and lead the next generations? That's the question for the dean of the LBJ School of Public Affairs at the University of Texas at Austin, Angela Evans. Join us as we pose the question and learn what can be done to help prepare students for the road ahead. Angela Evans became dean of the LBJ School of Public Affairs in 2016. 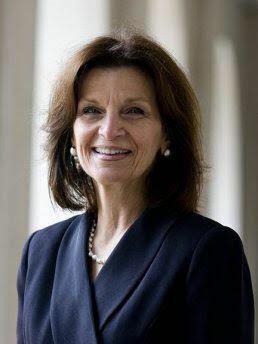 She joined the LBJ School as a clinical professor of the practice of public policy after serving for 40 years in public service to the U.S. Congress. During the last 13 of these years, she was the deputy director of the Congressional Research Service, leading major organizational changes that enhanced the research capacity of the service and improved the effectiveness of critical operations. Dean Evans has made significant contributions both as an academic and practitioner to public policy and public management and the advancement of women in these areas. She is actively engaged in developing the public service of the future in her role as the current dean of the LBJ school of Public Affairs at the UY-Austin. She is an inspiration to young and aspiring public servants, and a role model for women in public service.